“Look out back,” I said. 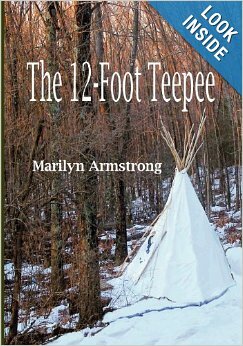 There was a big Hairy Woodpecker surrounded by Warblers, Chickadees, a few Tufted Titmouses and the odd Junco. In the trees and along the railing, there were at least a dozen more birds, all waiting for their turn at the feeder. Up in the branches, more birds. A lot of them dive in, grab a seed, and fly off. It occurred to me for the first time that maybe no one else in the area has a feeder and we are the only free buffet in town. We certainly have a hoard of birds and a huge variety. At least three or four kinds of warblers and no, I still can’t tell one from the other. 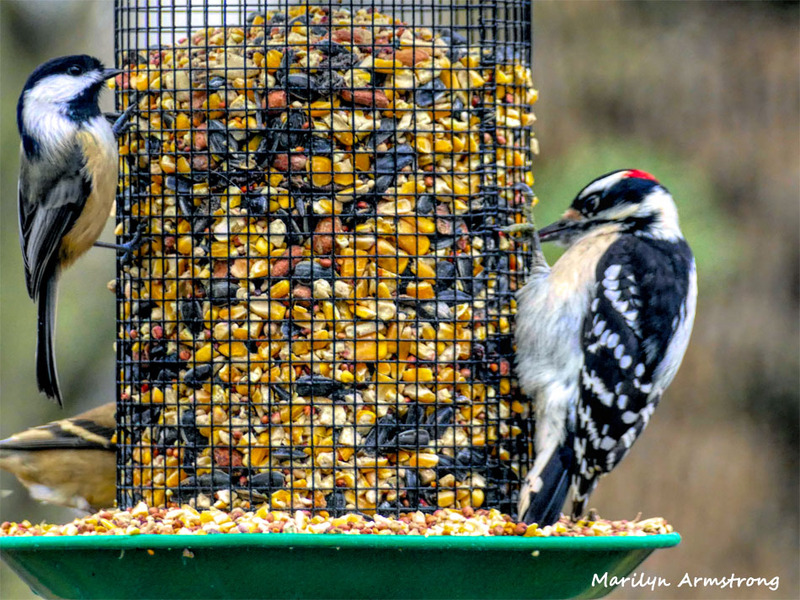 At least three kinds of woodpeckers, but the big guy doesn’t come to the feeder. The Pileated Woodpecker is, despite his size, quite a shy guy. If we really are the only food bank in town, no wonder we have so many birds! The warblers come by the flock. The Juncos come in pairs. 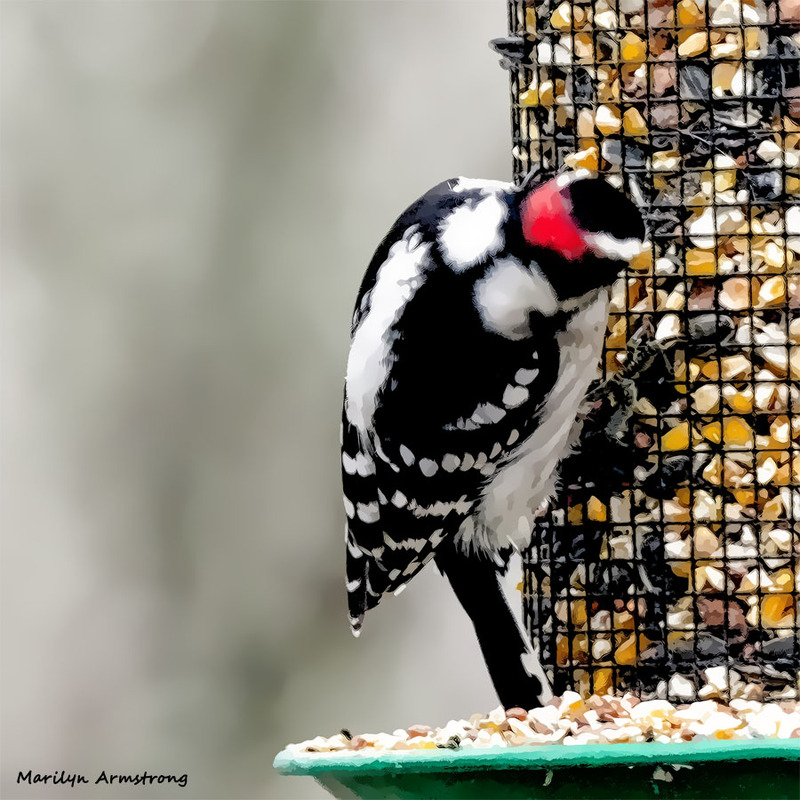 The woodpeckers are always solitary, but you can tell the boys from the girls by the red patch on the back of the head. 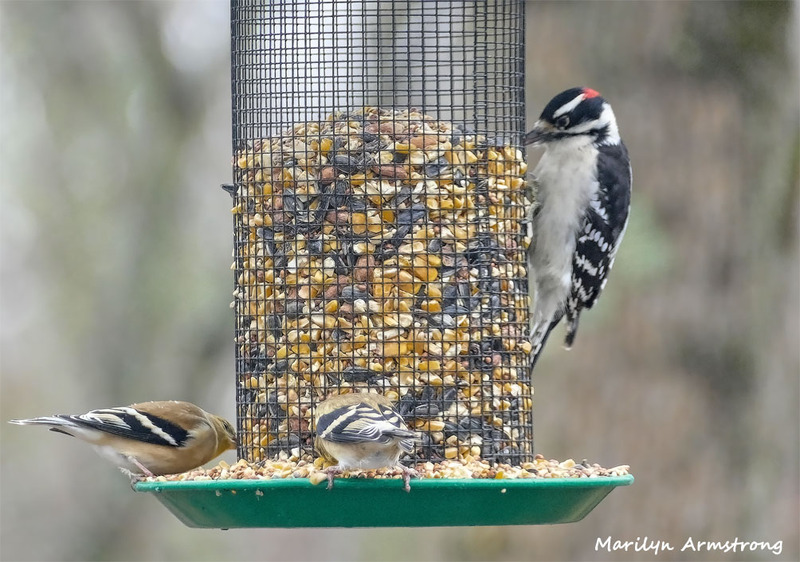 In the course of the day, various kinds of birds take over the feeder. 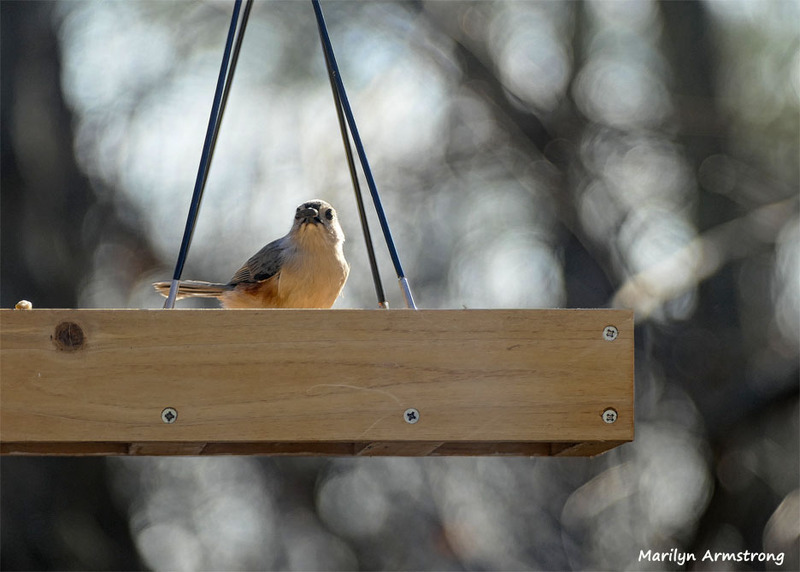 It’s a big feeder and you can fit quite a few birds on it at a time. I wonder who is going to fly out of the woods as the weather gets colder and snowier. So far, it has been cold, but whenever they promise snow, it warms up just enough. Instead, we have rain. I’m good with that. Sometimes, we don’t any snow until the end of January or February. Of course, that doesn’t mean we don’t get snow, only that we get a lot of snow very quickly! I know the feeling! 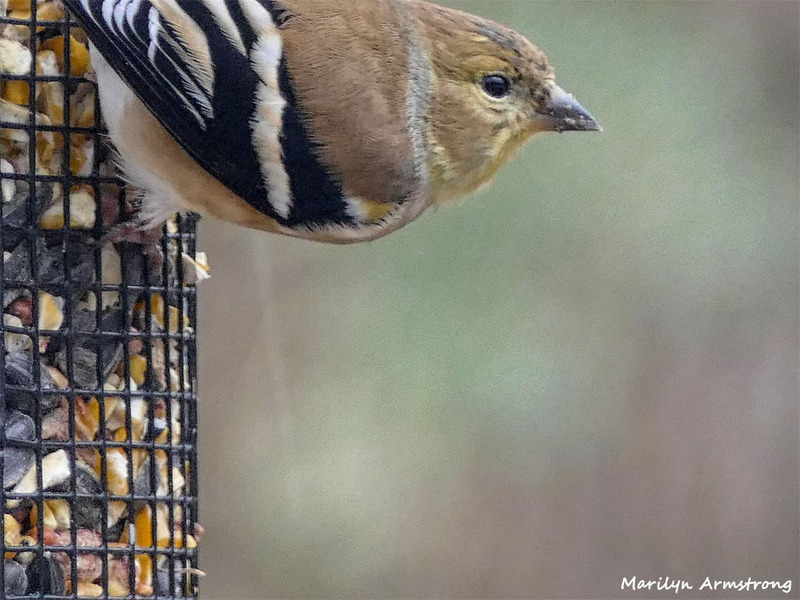 Who knew birdseed costs so much? Looks like your boid buffet is boffo. 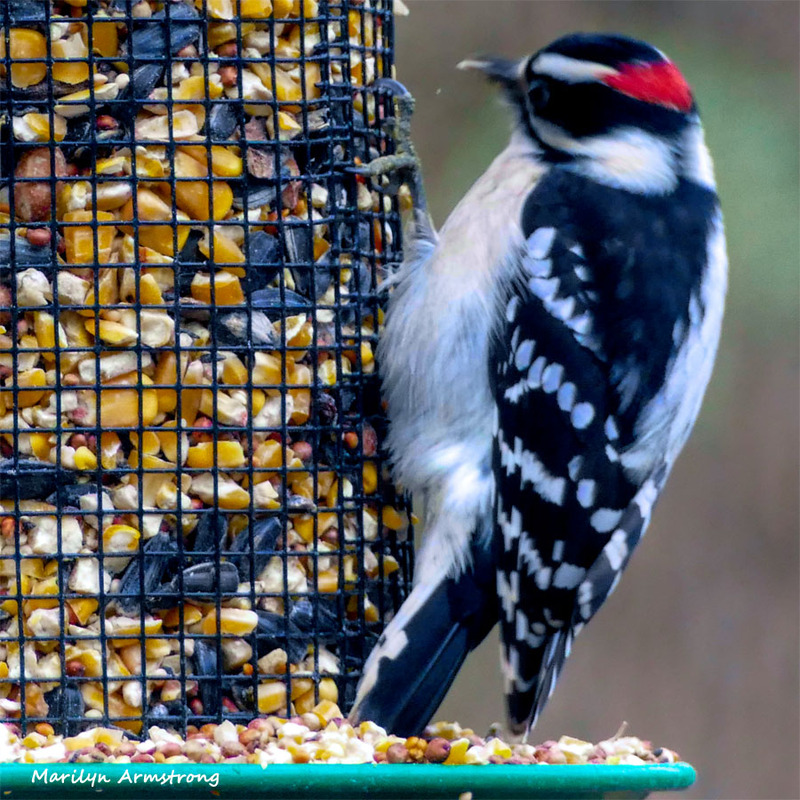 You are definitely one of the best bird feeders in the area — the birds must rate your house with 5 stars! Free food with foto sessions, who would stay away! You think they like the photos? Who won’t. These are clever birds and you take such amazing pictures. I envy your birds. 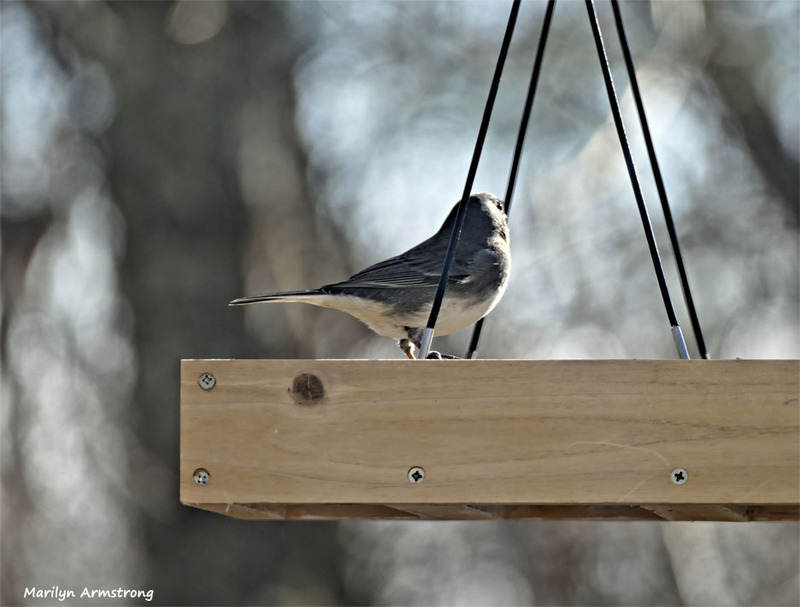 I have a feeder but only get sparrows and chickadees. All the while trying to keep the pigeons away from the smaller birds. The birds were really brawling today. EVERYONE wanted a go at the feeder. The thing is, aren’t there any other feeders or are we the ONLY one? We have lots of morning doves, blackbirds, blue jays, can’t remember the itty bitty birds names and a woodpecker and maybe a cardinal. And squirrels galore. They all coexist in our big back yard. Yes. They don’t have any wars. How remarkable! What fun, I wish we had one so we could watch them while eating breakfast. They are my saving grace, and the ONLY thing keeping me from going crazy for real. It’s because they tweet and twitter! 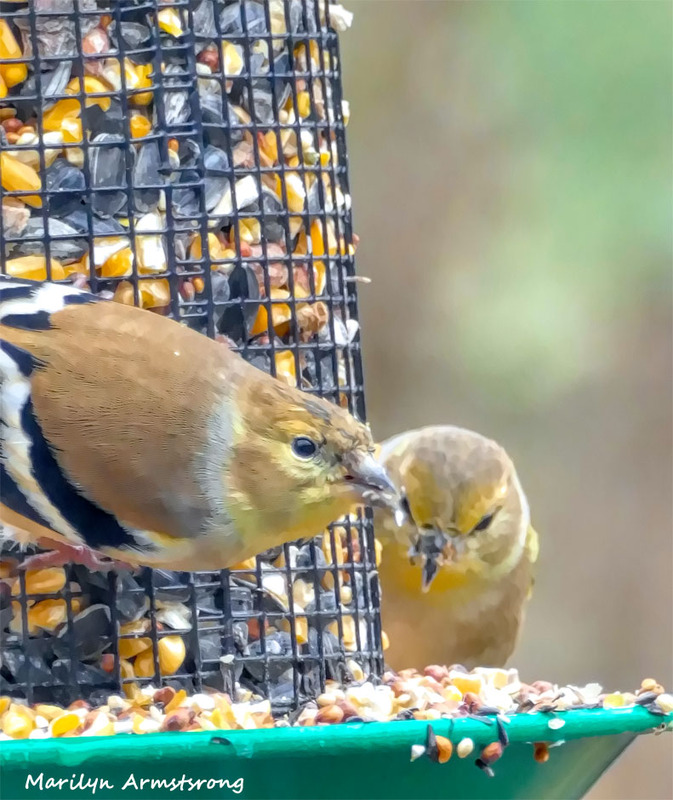 Maybe you are the only ones with a feeder, certainly, the best-stocked feeder in the neighbourhood and the birds are spreading the word, via Twitter of course! 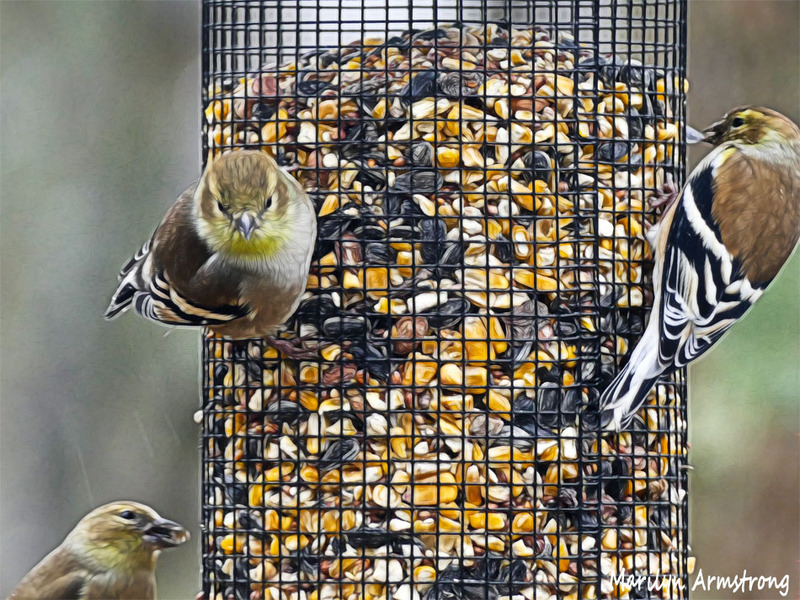 I never thought BIRDFEED could cost so much money! I switched to the “value” feed and mixed it with the more expensive food and all the birds are looking surprisingly healthy. It is lucky Garry and I don’t eat much!